No, I'm not going crazy. Yes, I did say to never coach your own child. 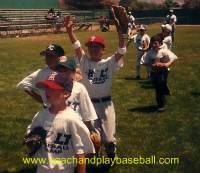 You may be a volunteer youth baseball coach but you should still never coach your own kid. I have observed and witnessed some pretty ugly and unhealthy situations between dad and player over the years. I would say that most if not all of you have experienced some bad scenarios, too. I'm going to lay out the problems and likely scenarios that most dad/player relationships touch on. Some are minor infractions and others are major catastrophes that dampen the spirits of everyone in the vicinity. I will give you my key advice to getting around the problem of team coaching but at the same time, never coaching your own kid. 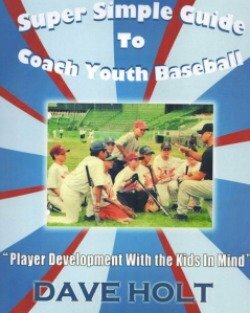 Do you want to know how you can coach the team yet never coach your own child? 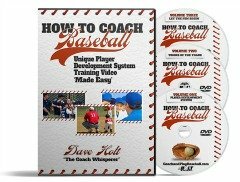 I can give you the key to enjoying the youth baseball experience while practicing with your child while at the same time never coaching your child. I will tell you how my dad did it with me and my brother. I will tell you how the major leaguers do it with their own children. I will enable you to work with your assistant coaches and allow everyone to coach the team but avoid coaching their own kids.